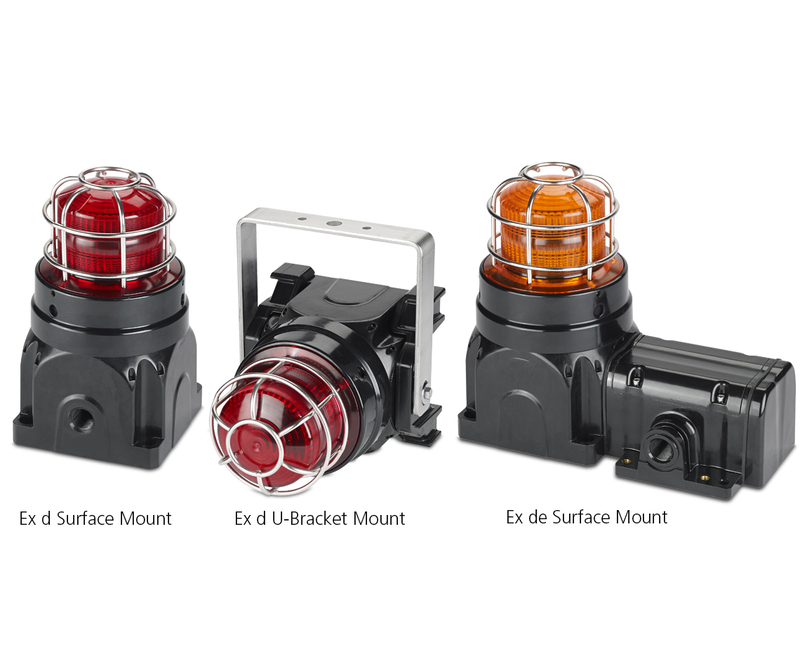 The Federal Signal patented Global Series® Strobes features a high-intensity xenon strobe tube operated at 21J. The housing is made from non-metallic materials designed to serve the demanding needs of offshore marine and land-based industrial applications, and can dramatically reduce the cost of long-term maintenance. The flameproof “Ex d” versions come standard with two (2) M20 entries. The increased safety “Ex de” versions include a separate terminal chamber for quick field termination or pass-through wiring, and include three (3) M20 entries in a standard configuration. The Global Series Strobe can be combined with all other Global Series audible and visual products in several custom configurations. Custom configurations can be ordered directly from the factory. Optional coupling kits, which allow limited field fixturing, are available. 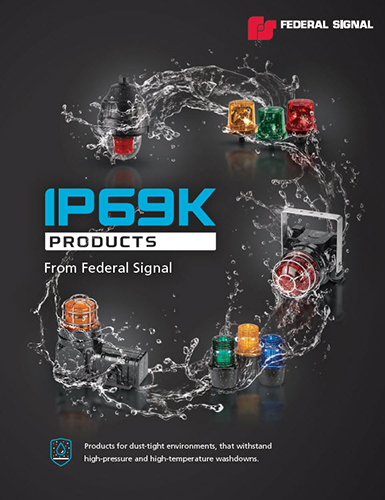 Click here to learn more about our IP69K Products!